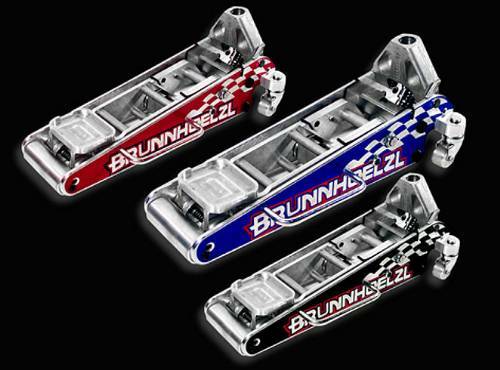 Brunnhoelzl is the original racing jack manufacturer and continues to be a leader in the industry. With quality beyond compare, they manufacture a superior jack built from all aluminum material and weighing only 32 lbs. The Warrior Jack was designed with the needs of nearly every racers in mind: The Warrior is Brunnhoelzl's most affordable unit and can accommodate any type of race vehicle. This Racing Jack is available in 3 or 6 pump versions, although the 6 pump version is the most common for club racers and easier to use. Jack raises up to a height of 17"
Comes in black as standard. The Warrior Jack is also available in blue or red by special order.